18 Things You Didn't Know About "Twin Peaks"
2. The show's creators didn't want to reveal the identity of Laura Palmer's killer. They even worked their failed venture into Agent Cooper's monologue in the series premiere: "There are two things that continue to trouble me, and I'm speaking now not only as an agent of the bureau but also as a human being. What really went on between Marilyn Monroe and the Kennedys, and who really pulled the trigger on JFK." According to the fan site Welcome to Twin Peaks: "It was supposed to be only a fraction of that, but afraid its viewers wouldn’t be able to relate to such a small town, ABC demanded Twin Peaks to be more populated. 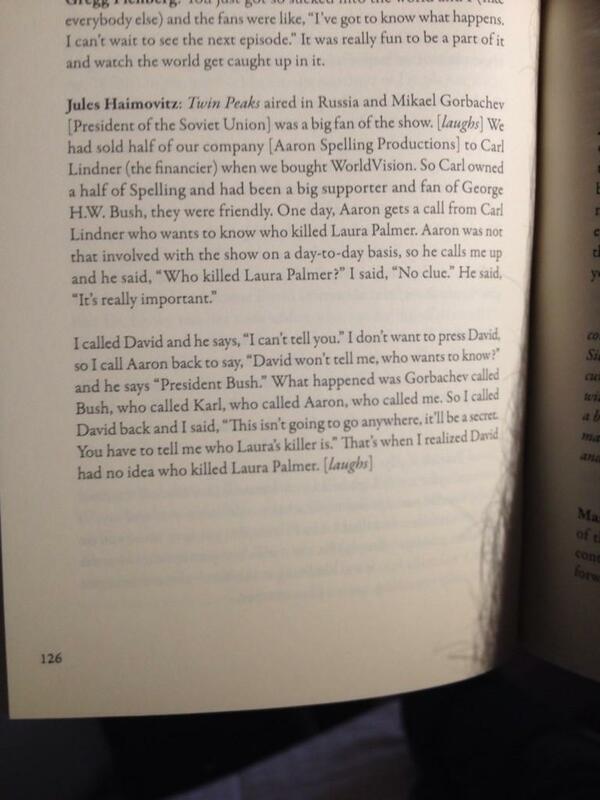 So David Lynch and Mark Frost appended a '1' at the end." 7. Despite the show's success, the film Twin Peaks: Fire Walk With Me was booed at the 1992 Cannes Film Festival, and bombed at the U.S. box office. 12. Josie Packard's character was originally supposed to be Italian. 13. Frank Silva (aka "Bob") was also the show's set decorator. 14. The zig-zagging black-and-white floor pattern in the Black Lodge was also featured in David Lynch's film Eraserhead (1977). 15. Zooey Deschanel's dad directed three episodes, and her mom played Donna Hayward's mother, Eileen. 16. Maddie Ferguson's character is from Missoula, Montana, which is also David Lynch's hometown.